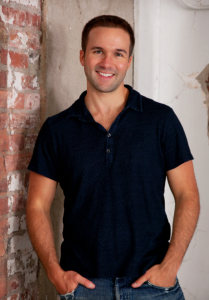 Ben Alexander is the owner of Balloon Distractions, who appeared on an episode of the Shark Tank. He didn’t get a deal with any of the Sharks, but he gained a lot of experience through the process. He talks with us about his experience on the Shark Tank as well as with his business. His advice to start with a small scale business is something that resonates with me. 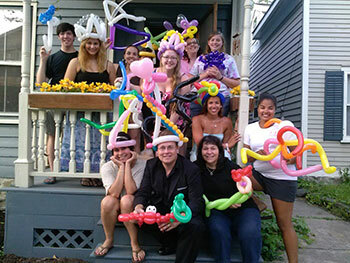 Ben Alexander started Balloon Distractions in the Fall of 2003, starting an adventure that continues to this day. Balloon Distractions has been a blessing in his life, and the lives of all those who have learned a new skill, income, confidence and poise. It was great talking to Ben today about his business, how he’s been able to grow it and get these balloons out there; get kids excited, helping out restaurants and helping get people extra income as well. He started his business on a small scale. The thing I want to expand on is that many people when they start a business they take out a loan, or try to find investors, or take out a second mortgage, or something similar to invest all that money into an idea. All because people tell them it’s a great idea. Then when they take it to market, they don’t get the response (in terms of sales) that they’re looking for. What you could do with a business is start on a small scale, a small scale business. If you have a product, a service or an idea or something you want to try, do it on as small a scale as possible. See if you can get sales from it, because sales is the most important thing for any business. You really need to go out and seek those sales first to know if you have a business or not. On Shark Tank the always about sales. How many sales do you have? Some of the people who go on the show haven’t even pushed the sales side of things for their business and then they don’t really know if their business is profitable or not. It doesn’t matter what people say, it matters what people buy in business. Keep that in mind. If you have an idea, you don’t need a grandiose business launch. Find an inexpensive way to put it out there and try to sell it with your small scale business. Sometimes you don’t even need to have the product to sell it, you can get people to buy into the idea of the product. If you can get people to put money down based on an idea then you know you are onto something. Nowadays there are crowdfunding sites (like Kickstarter and Indiegogo) that you can get people to buy your product before it’s even out there on the market. That’s an excellent way to test and see if people are legitimately interested in the product or not. When he graduated he got away from doing the ballooning, but he kept it in mind. He got married, had kids, got a job at a fortune 500 insurance company. In the summer of 03 he moved to Tampa Bay, he had a sales job that he hated and that wasn’t paying enough to cover his bills. He noticed there were a ton of restaurants, so he went out and started working at a couple doing ballooning. Then he went to the nearby college and recruited some students. 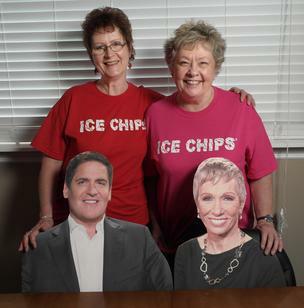 We were in 30 markets by the time we were on The Shark Tank. He was in Episode 514 of The Shark Tank. Ben lost his sales job when he was fired, but that day he went out and got 4 restaurants, a chain, to work with. He took that as a sign. I remember coming home and talking to a neighbor of mine who owned his own contracting business. He said, “You know you can always get a sales job. Why don’t you go out there and try to do this thing on your own. See if you can support yourself with your balloon business.” To this day Ben remembers that advice. Ben says, If you’re doing 100% commision sales, you’re kinda already in business for yourself. You just maybe don’t have the structure behind you. I had experience in 100% commision sales, but I had never been a full on independent business owner or entrepreneur. “It’s always a bit of a leap to go from being an employee or salesperson to being a full on entrepreneur. I haven’t regretted it. The last 10 years of my life, I’ve had the freedom to do a lot of things that I couldn’t to do if I had a normal 9-to-5 job. Shark Tank put them on a national stage. There are 200 markets in the United States, Ben is trying to get regional leaders and build a crew for each of the top 150 markets. They have regional leaders that work 15 hours a week, and we have people that are full time. Ben suggests that if you’re an entrepreneur and you watch Shark Tank. If you have an idea try something on a real small scale. Don’t mortgage your house just to try something. If it’s profitable on a small scale you can grow it bigger and bigger and it tends to be profitable as you get larger. He says, to get on Shark Tank you can be an awesome person with an awesome business, but if it’s something people have seen before, like a fishing boat charter, or house cleaning… they want something different. When you tune in you have no idea what crazy off-the-wall creative wacky businesses you’re going to see. What Ben wants to do is create a machine that, for example, is able to target St. Louis and in 90 days have a team up and running. He wants to do that without spending thousands of dollars in advertising to find those people. Ben has several people that used to do balloons at restaurants for them that come back and become regional leaders. Shark Tank boosted his business but it didn’t double it or do anything crazy. Ben says he should have, on day one, had someone come in and make sure the money was managed correctly. He suggests: get a good accountant, get your quickbooks, and never get behind on taxes. Tim Robbins said it’s action, you have to take action, you can’t sit around and just plan s*** all day. You have to take action. A lot of people have these complicated business plans and they want to get a giant loan and all this other stuff. If you want to start a business, you need to take action up front. You may have a great idea and people are like, “Wow, that’s a great idea!” And then you go out there and no one is willing to pay you a dime for it… maybe it’s not that great of an idea. If you have an idea try it. Don’t try it for the next 30 years, but go present it to a hundred different people and just gauge the interest. If no one has any interest then take it back to the drawing board, improve it or change it. Even better, take your idea out there and ask, how can we make it better; you’d be amazed people will give you lots of information. What do you think of Ben’s interview? 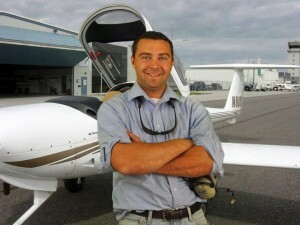 This entry was posted in Episode 078: Start a Small Scale Business to Test Your Idea | Ben Alexander Founder of Balloon Distractions and tagged balloon distractions, ben alexander, Business, Defining Success Podcast, Entrepreneur, Entrepreneurial, Entrepreneurs, Entrepreneurship, salesperson vs entrepreneur, Shark Tank, shark tank balloon distractions, shark tank ben alexander, Small Business, small business expansion plan, small scale business, start small, Zeb Welborn on April 29, 2014 by Admin. In Episode 55 of the Defining Success Podcast we revisit the episode we did with Charlotte Clary of Ice Chips Candy and share what it means to have an entrepreneurial mindset. Entrepreneurs continually take risks and fail but are able to sustain themselves while working to find businesses or products that help make them successful. The best entrepreneurs fail and fail often, but they always learn from their mistakes and work hard to make better business decisions and implement systems that will help them become more successful. We analyze the difference between being an entrepreneur and an employee in an article titled, Do You Have an Entrepreneurial Mindset or an Employee Mindset on the Welborn Media website. Listen to Episode 55 of the Defining Success Podcast to learn what it takes to have an entrepreneurial mindset. This entry was posted in Episode 055: An Entrepreneurial Mindset by Zeb Welborn, Interviews with Zeb Welborn, Successful Connections and tagged Charlotte Clary, Employee Mindset, Entrepreneurial Mindset, Entrepreneurs, Shark Tank, Welborn Media, Zeb Welborn on December 17, 2013 by Zeb Welborn. 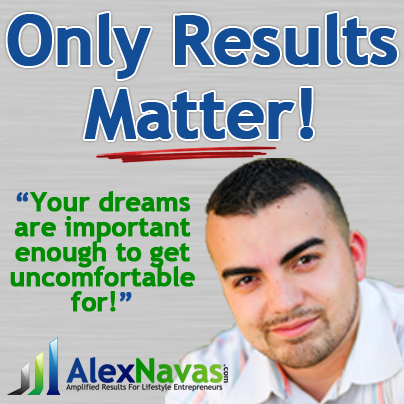 Alex Navas helps people and business owners determine what is important in their business and personal lives. It’s not easy balancing your work and personal life. The most successful people are able to find a healthy balance between the two where they are able to accomplish a lot at work, but not to the detriment of their families. Learn more from Alex on business and what it takes to be successful in Episode 37 of the Defining Success Podcast. 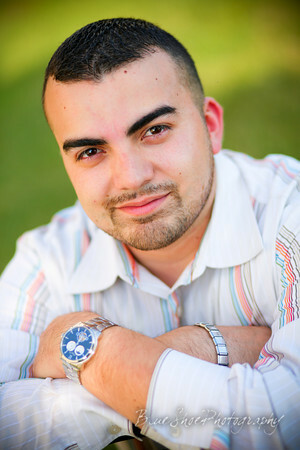 Alex Navas is nationally recognized for his financial expertise and exceptional small business marketing methods. 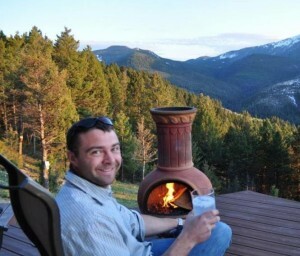 He has been active in finance, marketing, sales and personal development for 10 years. 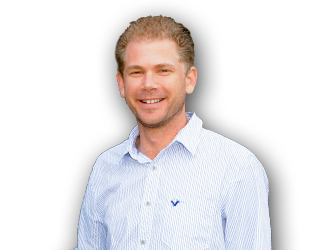 He is now an energetic and charismatic speaker, trainer and business coach. Alex started his entrepreneurial career installing car stereos for his friends and from that point on he knew he was destined for a life in business. At 21 years old he started his first business, a mortgage company. 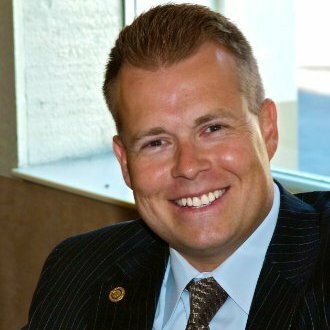 He and his wife did really well in the mortgage industry and he learned his passion was helping other business owners become successful by holding bootcamps for real estate agents. Alex helps businesses by taking a look at their assets. When he explains assets he means the positive things you have in your business. After analyzing your assets, Alex can point to some opportunities you’re missing out on which could help you grow your business. By understanding where a business is at, Alex can help businesses expand faster using less resources. A lot of times success online depends upon taking advantage of the right opportunities and being able to identify those opportunities is critical to the success of any business. A lot of entrepreneurs make decisions based on illusions. A common challenge entrepreneurs make is they think they know the answer about something before the event even takes place without acting on it first. Their are a few key things to achieve exponential growth. Your mindset is important to the success of any business owner. One of the key ways to grow exponentially is by choosing who you’re going to serve, because it gives you the opportunity to serve who you were not meant to serve. Alex owns the Christian Business Academy and purposefully narrowed his focus because he knew that he was meant to serve those people. In return, it has become easier for him to attract the clients that he wants because they are attracted to his purpose and mission. One of the things that Alex is really good at is creating profitable partnerships and he works with a lot of coaches and consultants and he helps them leverage what they’re doing. Alex created an online training program with another business coach in order to help people create experts in the industry. When Alex was running his mortgage company, he was working from 7am to 11pm. One day he was sitting with his son and he realized that his business was taking him away from his family and he vowed not to let that happen. We’re passing up opportunities to say that some day we’ll have time to spend with our family. Balancing your work and personal life is critical to the happiness of an individual. Alex has seen so many successful people, but their personal lives are in shambles. 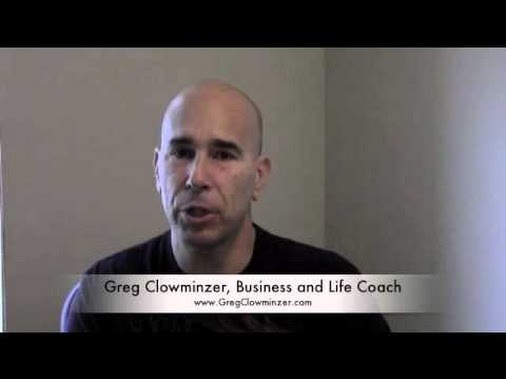 Most business owners are overwhelmed and overworked. Most business owners are doing way too much work. Once you get focused and narrow down your goals then it becomes easier to achieve your goals and you’re doing less work. No matter what Alex does at work he thinks about the people he’s serving and how he can help them. How important is balancing your work and personal life? What is more important? Your business or your family and friends? Who is the target market for your business? Why? This entry was posted in Episode 037: Balancing Your Work and Personal Life | Alex Navas from AlexNavas.com and tagged Alex Navas, Balancing Your Work and Personal Life, Business, Business Coach, Christian Business Academy, Defining Success Podcast, Entrepreneurial, Entrepreneurs, Financial, iTunes, Marketing, Mortgage, Newsletter, Purpose, Real Estate, Real Estate Agents, Sales, Small Business, Successful, Trainer on August 6, 2013 by Zeb Welborn. In Episode 31 of the Defining Success Podcast Rey Ybarra shares the stories of numerous Shark Tank entrepreneurs and how Shark Tank has impacted their lives and their businesses. Rey has been able to share the stories of these entrepreneurs through all of their failures and successes to show how the entrepreneurs who have appeared on Shark Tank have thrived following their appearance on the show. 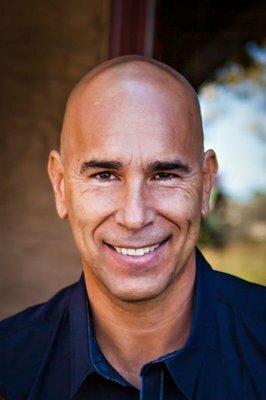 Rey Ybarra is the author of Conversations with Shark Tank Winners featuring entrepreneurs from the hit ABC TV reality show Shark Tank. As a multimedia book author he is producing audio and video interviews focusing on helping entrepreneurs, small business owners and for those who have dreams and a sincere desire to work their dreams. 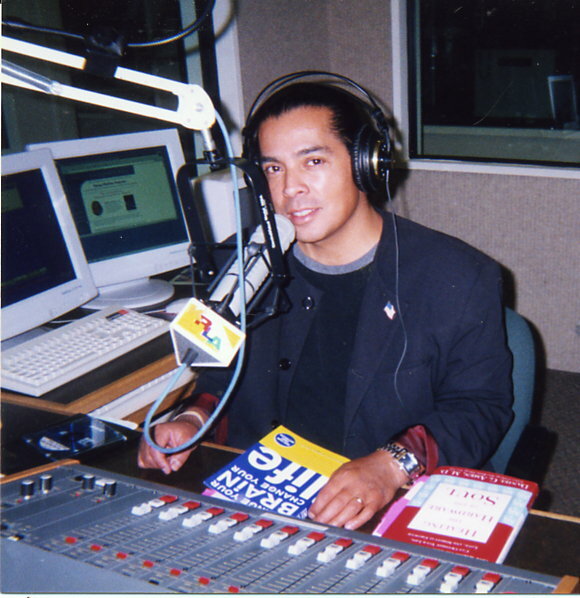 Rey Ybarra has been an entrepreneur, talk-show host and has produced a lot of multi-media programming. He’s been helping small businesses understand social media and use the tools of the Internet to help their businesses. Rey understands that educating businesses on how social media and the Internet can impact their businesses has been invaluable to those businesses. As the world and the Internet has changed Rey has come to realize that a lot of businesses were in denial about how the Internet was playing a role in their businesses. A lot of people didn’t know where to go and they needed help to understand how people were using technology and the Internet to interact with businesses. Rey’s greatest passion is interviewing others to learn what makes them tick and how they’re using their business to help others. Rey began working on the multi-media book, The Shark Tank Effect, to help share the stories of the entrepreneurs who have appeared on Shark Tank to a larger audience. Through his interviews, Rey has been able to dig deep into the lives and businesses of these entrepreneurs and hopes that his book will inspire others to pursue an entrepreneurial path. Shark Tank is a show that helps people and those who have dreams. Rey interviewed Barbara Corcoran and Robert Herjavec for an article he was writing and also many of the entrepreneurs and he got an idea for the title of his book, Conversations with Shark Tank Entrepreneurs. He went to work right away contacting enthusiastic entrepreneurs to become a part of the project. During his interviews he talked with several Shark Tank entrepreneurs about what they did before Shark Tank, how they got on the show, what the process was, and how they were going to give the presentations. Rey decided to make his book into a multi-media platform because he understands that people learn to process information in a variety of different ways. He knows that some people like to read, others prefer to listen and still others prefer to watch video. The multi-media book gives Rey the opportunity to reach people who learn in a variety of different ways. Rey has interviewed 14 of the entrepreneurs who have appeared on Shark Tank. He also is working with Steve Kaplan, an entrepreneur extraordinaire and he’s on a CNBC show called Crowd Rules which debuted two weeks ago and he’s one of the judges and he is also on a show called Secret Millionaire where they handpick some successful entrepreneur who want to give back and help their communities. He talked with Steve and they are working together on Rey’s book. The Shark Tank Effect is something Rey covers in all of his interviews in which he asks the entrepreneurs that he’s interviewed is how the Shark Tank has impacted their business and their lives. Each Shark Tank entrepreneur responds with a different answer about how the Shark Tank has changed their lives. 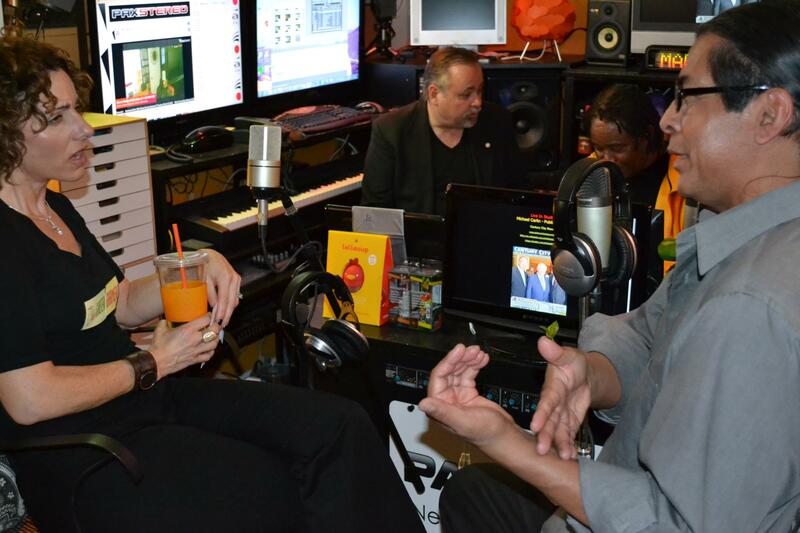 The best interview Rey conducted was with Billy Banks Jr. and his wife Sharon Catherine Blanks and their program, Dance with Me. Their Dad, Billy Blanks invented Tae Bo and living in the shadow of his father had always been difficult. When the episode aired, they were homeless and living in a motel. Now they are traveling the world introducing their Dance with Me program all over the world. Carol Foster created Mee-Mas Gumbo, who at the time of her appearance on Shark Tank was homeless. The biggest reason why Rey created this book was to help as many people as he can. You can get all sorts of information from these entrepreneurs and you can learn from each one of them. Barbara Lampugnale from Nail Pak who was visiting her daughter from Connecticut who struck a deal with Lori Greiner. How do you run a business while raising a family? Listen to the interview with Barbara Lampugnale and you’ll be able to understand that. Persistence is the key to getting the guests for Rey’s book . . . A big problem Rey had in the beginning was that he had some technical difficulties and lost six of the interviews he had recorded. The one big trait that all the entrepreneurs on the Shark Tank do whatever they have to do to get the work done. They don’t let anything humanly possible stop them . . . not even natural disasters. Dan and Liz Holtz, owners of Liz Lovely cookies, did not get a deal from the Sharks and three days before they opened their store Hurricane Irene came in and wiped them out. The building materials, staff, and inventory was all lost. 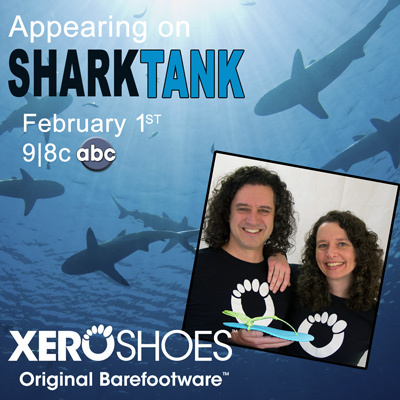 They persevered and overcame those obstacles and even though they didn’t get a deal, the exposure they received from the Shark Tank grew their business exponentially. Cheryl Rigdon invented the Spatty Daddy and even though she didn’t get a deal from the Sharks, Daymond John has been helping her grow her business and she’s experienced exponential growth as well. The advice Rey would give to others would be to give aspiring entrepreneurs where the entrepreneur is asking for money, you have to know your numbers. You have to know margins, return on investment, cost per unit. You have to know all of those numbers in your sleep. For aspiring entrepreneurs you better know your numbers, why and how and the nuts and bolts of everything in regards to your business. Rey asked Mark Lim, creator of Lollacup, what his keys for success were and he asked what do you mean? Rey then followed up with him . . . What did you do to prepare to get on the Shark Tank and Mark then understood. When an opportunity comes and you seize it than that is what determines your success. Are you willing to do whatever it takes to make your business successful? 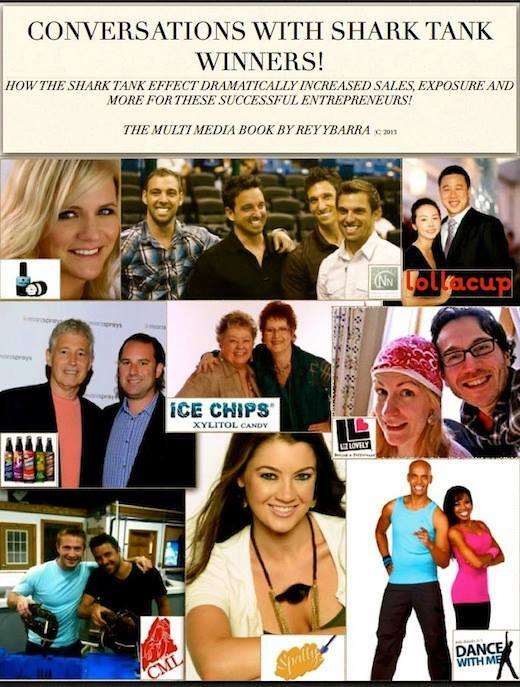 Conversations with Shark Tank Winners – Conversations With Shark Tank Winners is the multimedia book featuring interviews with the entrepreneurs from the ABC TV reality show Shark Tank! Steve Kaplan – Steve Kaplan Inc. helps you identify the success you really want. Then, through our no-nonsense, roll-up-your-sleeves mentality and products, we help you get it. Steve has turned his experiences into proven tools to help individuals and businesses identify and achieve big goals. Through Steve’s proprietary products and services such as his unique downloadable step-by-step success playbooks, one-on-one sessions, workshops, bestselling books, DVDs, keynote speaking and more, Steve Kaplan Inc. guides you down the path to success. Crowd Rules – “Crowd Rules” features three small businesses that compete in front of an audience who vote to decide which business wins a much-needed $50,000 prize. Entrepreneur and jewelry designer Kendra Scott, TV newsman Pat Kiernan and a weekly guest who is an industry expert lead the examination of the small businesses. While the business owners make their case to the panel of three, the real power lies in the hands of the audience—97 strong—whose votes ultimately decide which business is most deserving of the investment. Secret Millionaire – The secret’s out! Some of America’s most successful self-made millionaires are embarking on a truly incredible journey. They will spend a week in the country’s poorest areas and ultimately reward some unsung community heroes with hundreds of thousands of dollars of their own money. Shark Tank – The critically-acclaimed business-themed show, Shark Tank, has the Sharks continuing the search to invest in the best businesses and products that America has to offer. 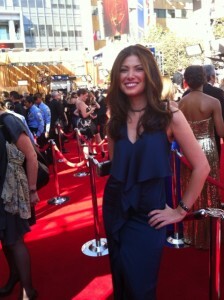 The show received a nomination for a Producers Guild Award in 2013. In 2012 “Shark Tank” received an Emmy nomination for Outstanding Reality Program and a nomination for a Critics’ Choice Television Award for Best Reality Series. The Sharks — tough, self-made, multi-millionaire and billionaire tycoons — will once again give budding entrepreneurs the chance to make their dreams come true and potentially secure business deals that could make them millionaires. They are: billionaire Mark Cuban, owner and chairman of AXS TV and outspoken owner of the 2011 NBA championship Dallas Mavericks; real estate mogul Barbara Corcoran; “Queen of QVC” Lori Greiner; technology innovator Robert Herjavec; fashion and branding expert Daymond John; and venture capitalist Kevin O’Leary. This entry was posted in Episode 031: Everyone Has a Success Story | Rey Ybarra Author of Conversations with Shark Tank Winners, Shark Tank and tagged ABC TV Reality Show, Barbara Corcoran, Barbara Lamugnale, Billy Blanks Jr., Businesses, C Spray, Carol Foster, Cheryl Rigdon, Chord Buddy, CNBC, Connecticut, Conversations with Shark Tank Winners, Cousins Maine Lobster, Cozybug, Crowd Rules, Dallas Mavericks, Dan Holtz, Dance with Me, Daymond John, Defining Success Podcast, Duality Cosmetics, Entrepreneurs, Green Garmento, Ice Chips Candy, Internet, Kendra Scott, Kevin O'Leary, Liz Holtz, Liz Lovely, Lollacup, Mark Cuban, Mark Lim, Marz Sprays, Mee-Mas Gumbo, Multi-Media, Nail Pak, Nardos Natural Skin Care, Pat Kiernen, Queen of QVC, Rey Ybarra, Robert Herjavec, Secret Millionaire, Shark Tank, Sharon Catherine Blanks, Small Business Owners, Social Media, Spatty, Spatty Daddy, Steve Kaplan, Success, Successes, Tae Bo, Talk-Show Host, The Shark Tank Effect, Touchless Flatware on June 25, 2013 by Zeb Welborn. Teaser: Pete’s goal is to help inspire more and more people become entrepreneurs. He’s spent most of his life as an entrepreneur and is helping others develop a purpose and a passion for entrepreneurship. 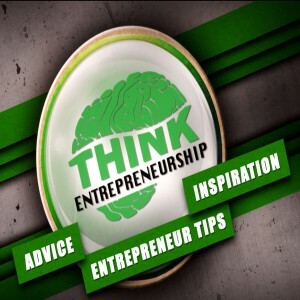 Recap: Pete Sveen is the host of the Think Entrepreneurship Podcast, a show that interviews successful entrepreneurs and shares their journeys and experiences with you. His guests have included Kevin Harrington from Shark Tank, NFL great, Fran Tarkenton and many other motivated and well-known entrepreneurs. Pete studied entrepreneurship at the University of Nebraska and while he was in college he started a car detailing business and he learned that he wanted to be his own boss. He loved the fact that he could get into something that he could be passionate about. His first business was his car detailing business and then he got into the printing business, which he still owns today. He then got into e-commerce and he started making signs called SignsoftheMountain.com. He started the Think Entrepreneurship website back in 2010. He’s also been involved in real estate investing. The entrepreneurship focus in colleges is growing and he started taking an Intro to Entrepreneurship class. He learned how to write business plans and learn how to start a business. He got practice working on his business plans and entered a contest and got some money to help him start his business in college. He also did some consulting for businesses with some things that the businesses he did some projects for. Pete learned a variety of things from the entrepreneurship program at the University of Nebraska, but the greatest thing it offered was networking because he was able to meet investors and find mentors that helped him in the beginning stages of his business. Pete has learned so much in his entrepreneurial journey. Every day Pete learns how to do new things for his business, but that’s what makes things exciting. Pete came up with the name for Think Entrepreneurship for his friends and he was trying to get people to connect his local friends where they could bounce things off of each other. In 2010, Pete got more active with the website. He really understood early on that he began to develop some great connections and the first person that he interviewed ordered 2,000 t-shirts from his printing business. Pete thinks that podcasting is really blowing up right now. He visited the NMX Conference and they talked about the importance of podcasting. Pat Flynn said there is 4.5 million blogs and only 250,000 podcasts our there which means it’s a great medium and a great opportunity for people looking to spread their message. The biggest mistake Pete has made was trying to do everything on his own. He didn’t outsource anything and he wishes he had outsourced things sooner. He reaches out to local college students and tries to hire out as soon as you can so you can focus on the more strategic parts of your business. One of the most interesting interviews Pete had was interviewing Fran Tarkenton . . . and Pete’s been a Vikings fan since he was born and it was a great experience for Pete to interview him. He had a wealth of information and he was inspiring to hear from. Fran is now doing a lot of investing in start-ups and is working with around 25 companies and he’s currently working with Office Depot to help mentor entrepreneurs from around the United States. Pete gets guests for his podcasts by reaching out to people who he would like to try and get to. 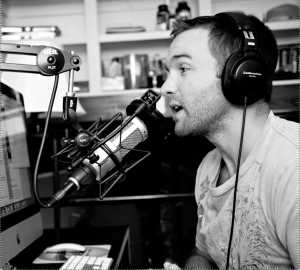 He sends emails and calls entrepreneurs in order to get guests for his podcast. Pete says one thing that strikes him about entrepreneurs is how willing they are to give back. Pete does a lot of affiliate marketing which is referring a lot of businesses and companies that you believe in and sending them to their websites. He is also gathering sponsors for his podcast which are sponsoring episodes. Do you have a clearly defined purpose? What do you think about entrepreneurship? Special Requests: If you need help finding your passion or have questions about how we can help you develop yours, send me an email at Zeb@WelbornMedia.com, visit and comment on our blog www.DefiningSuccessPodcast.com or visit and comment on the Defining Success Podcast Facebook page. This entry was posted in Episode 028: The Power of Purpose | Pete Sveen from the Think Entrepreneurship Podcast and tagged APLU, As Seen on TV, Blimpie International, Bozeman, Carnegie Foundation, Coca-Cola, Defining Success Podcast, Entrepreneurs, Entrepreneurship, Fran Tarkenton, Kevin Harrington, MOntana, Nebraska, NMX Conference, Passion, Pat Flynn, Pete Sveen, Podcast, Podcasting, Pre-Paid Legal Services, Shark Tank, Signs of the Mountain, Signs of the Mountains, Smart Passive Income, Sterling Software, Success, Think Entrepreneurship, Think Entrepreneurship Podcast, TV Goods, University of Nebraska, UNL, Zeb Welborn on June 3, 2013 by Zeb Welborn.